Ship owners, ship operators and ship managers who are busy preparing for the upcoming high sulphur fuel oil (“HSFO”) ban which enters into force on 1 January 2020 will be familiar with the option to install Exhaust Gas Cleaning Systems (EGCSs) otherwise known as “scrubbers” as one route to compliance. 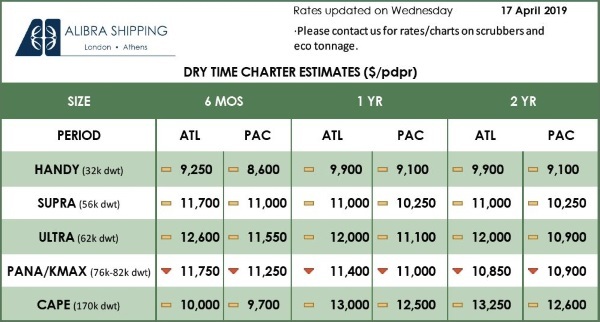 There appears to be some confusion within certain parts of industry as to whether it is sufficient to merely commission and not necessarily install or use a scrubber by 31 December 2019 in order to meet the new sulphur content requirements. This update clarifies the position with regard to relevant international, European and UK law and guidance. On 26 October 2018, during its 73rd session, the Marine Environment Protection Committee (‘MEPC73’) of the International Maritime Organisation (IMO) formally adopted the ban on carriage of HSFO. This was effected through amendments to regulation 14 of Annex VI to the International Convention for the Prevention of Pollution from Ships (‘MARPOL Annex VI’) as laid down in the IMO document MEPC 73/3. This means that (a) from 1 January 2020, ships’ use of marine fuel with a sulphur content above 0.50% (“HSFO”) will be prohibited; and (b) from 1 March 2020 ships’ carriageof HSFO will also be banned (see our previous Law Now article). Whilst there are a number of routes to compliance, one such route, is the installation of scrubbers, which enable vessels to continue to use an HSFO. An installed scrubber must be approved by the ship’s Flag Administration and such approval evidenced in the ship’s IAPP Certificate (International Air Pollution Prevention Certificate). With less than 12 months left to prepare for the ban there are a number of challenges facing the industry such as (a) a growing concern that there will not be enough time nor capacity for installers and shipyards to fit scrubber systems on all ships in time; (b) forecasts of potential non-availability of low sulphur marine fuel; and, pertinently, (c) confusion generated by those who hold a view that it is sufficient to merely commission and not necessarily install or use a scrubber by 31 December 2019. This view carries neither regulatory nor legal substance. “The new 0.50% limit (reduced from 3.50% currently) on sulphur in ships’ fuel oil will be in force from 1 January 2020, under IMO’s MARPOL treaty, with benefits for the environment and human health. The complementary MARPOL amendment will prohibit the carriage of non-compliant fuel oil for combustion purposes for propulsion or operation on board a ship – unless the ship has an exhaust gas cleaning system (“scrubber”) fitted. Installing a scrubber is accepted by flag States as an alternative means to meet the sulphur limit requirement. The complementary amendment is expected to enter into force on 1 March 2020. The amendment does not change in any way the entry into force date of the 0.50% limit from 1 January 2020. It is intended as an additional measure to support consistent implementation and compliance and provide a means for effective enforcement by States, particularly port State control”. The statement clearly states that scrubbers must be ‘fitted’ on a vessel in order for a vessel to be able to continue to use HSFO from 1 January 2020. The IMO’s FAQ further stipulates that “ships may also meet the SOx emission requirements by using approved equivalent methods, such as exhaust gas cleaning systems or “scrubbers”, which “clean” the emissions before they are released into the atmosphere. In this case, the equivalent arrangement must be approved by the ship’s Administration (the flag State).” (our emphasis). There is therefore no suggestion at international level that simply commissioning a scrubber or any emissions abatement measure would be sufficient for compliance purposes. Given that the overarching objective of the IMO measure is aimed at reducing sulphur emission in international shipping, it is difficult to imagine how the IMO would have intended anything less than the actual fitting, approval and use of scrubbers by vessels. We suspect that perhaps the phrasing “to be fitted” created the confusion in question suggesting that merely planning or intending to fit an EAM through commissioning may be sufficient to achieve compliance. However, a fundamental principle of European law is that it must be read purposively and not literally with consideration of the spirit and the intent behind the provisions in the Directive. These reflect those of the IMO, namely, to reduce harmful emissions from ships. As we apply the principle of purposive interpretation to Article 8 (Emissions abatement methods) it is clear that the focus of the requirement is on the “use” of the EAMs as an “alternative” to using HSFO. Article 8(2) provides: “Ships using the emission abatement methods referred to in paragraph 1 shall continuously achieve reductions of sulphur dioxide emissions that are at least equivalent to the reductions that would be achieved by using marine fuels that meet the requirements of Articles 6 and 7” (our emphasis. Conversely, if EAMs are merely commissioned and not used, then the requirements of Article 8(2) would be rendered meaningless. Furthermore, Article 9 requires the EAM to be formally approved before they can be used. Thus, there are two key steps that need to be met in order to achieve compliance with Article 5 – (1) approval; then (2) use. There is no reference to “commissioning” in the Directive but the commissioning stage is referenced in the guidance produced by European Maritime and Safety Agency (EMSA), as addressed below. is using the EAM for all fuel combustion machinery on board”. Whilst commissioning is mentioned, albeit in passing, it is only done in the context of the staged approval process which is naturally conducive towards the required use of the EAM on board, once it has been commissioned, trialled or approved. Another circumstance that would be treated as a breach of the Directive is where it comes to light upon inspection by Port State Control or maritime enforcement authorities that the EAM on the ship is not continuously reducing SOx emissions. It is expected that from 1 January 2020, maritime enforcement inspectors will seek to ensure in the course of their inspections in ports that not only are the scrubber systems approved for use, but that ships are actively using scrubbers to continuously reducing SOx emissions. It is expected that from 1 January 2020, maritime enforcement inspectors will seek to ensure in the course of their inspections in ports that not only are the scrubber systems approved for use, but that ships are actively using scrubbers to continuously reduce SOx emissions. The UK has not diverged in its implementation of the international and European sulphur requirements. The UK’s Merchant Shipping (Prevention of Air Pollution from Ships) Regulations 2008 (as amended) and the Merchant Shipping (Prevention of Air Pollution from Ships) and Motor Fuel (Composition and Content) (Amendment) Regulations 2014 (the “UK Regulations”) mirror the definition of and requirements for actual “use” of EAMs provided for in the Directive. Regulation 32(3A) makes it an offence for a master of a ship to utilise fuel having a sulphur content above 0.50% from 1 January 2020 unless the ship is using an approved and certified emission abatement method. The word “commissioning” is not referred to anywhere in the UK Regulations. The Maritime and Coastguard Agency Marine Guidance Note, MGN 510 entitled “Use of Exhaust Gas Cleaning Systems under the Merchant Shipping (Prevention of Air Pollution from Ships) and Motor Fuel (Composition and Content) (Amendment) Regulations 2014” further supports the requirement for actual use of the scrubber systems which must be compliant and approved before they can be used. The IMO does not set fines or sanctions as these are established by individual Parties to MARPOL as Flag and Port States. Sanctions can be in the form of administrative fines or criminal penalties and would include detention, refusal of entry into port; delay; and prosecution and/or fines. Whilst levels of fines differ between countries if prosecuted in the UK fines would be unlimited. A mandatory order to restore any damage and to remedy the breach (e.g. install an approved scrubber system) could also be made in addition to the fine. Notably, the definition of a ‘liable person’ under UK Merchant Shipping (Prevention of Air Pollution from Ships) Regulations 2008 is wider than that of MARPOL and the Sulphur Directive. Whilst the latter instruments penalise the master of a ship and/or the ship owner, the UK regulations are wide enough to place liability on the owner, master of the ship, manager, charterer, harbour authority or terminal operator, fuel oil supplier or fuel oil supplier’s representative (e.g. making a false declaration on the BDN) and any person who causes a non-compliance of any of the aforementioned persons through their acts or omissions. It is the latter “any person” liability that could potentially expose those in the scrubber industry to a prosecution in UK if it comes to light that scrubbers were supplied on a false premise which ‘caused’ a vessel operator to commit an offence. To conclude, any ship owners, managers and operators who have been operating on a false premise that commissioning a scrubber by the compliance deadline will be sufficient to demonstrate compliance should review their position. 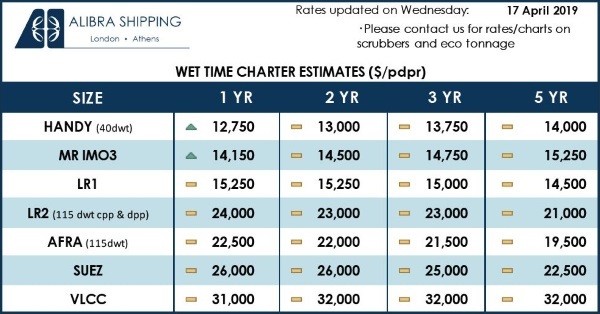 Those vessel owners/operators who are planning to meet the MARPOL Annex VI requirements by opting for scrubbers should take heed if they have merely commissioned a scrubber system and know for certain that they will not be installed in time for 31 December 2019. If this is the case then those ships must ensure that they seek to either have the scrubbers installed by the set deadline or source LSFO in time for 1 January 2020.